In Europe during the Renaissance (about A.D. 1400–1600), Christians looked to nature for spiritual enlightenment and to guide their contemplation of the divine. 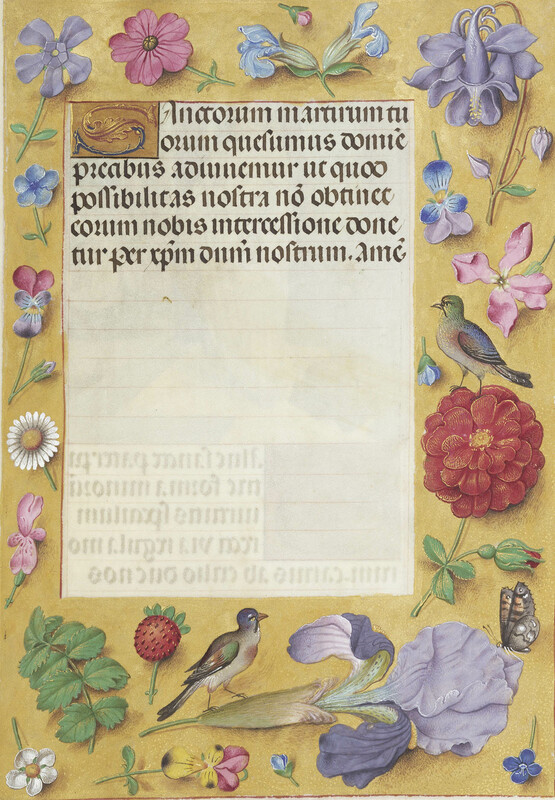 In illuminated manuscripts made during the period, intricately painted landscapes or flora and fauna were often represented as aids to prayer. Flowers and green spaces are as appealing today as they were 500 years ago, whether in real life or in the pages of a book. And as it turns out, many flowers prized in Renaissance Europe for their religious symbolism and practical value are still among our favorites today. 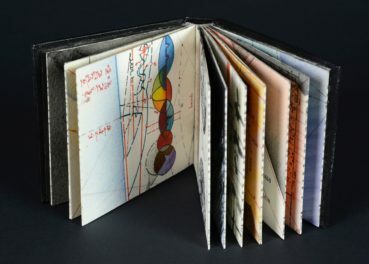 I compared notes with Brian Houck, the Getty’s manager of grounds and gardens, and manuscripts curators Bryan C. Keene and Alexandra Kaczenski, who organized the exhibition Sacred Landscapes: Nature in Renaissance Manuscripts. 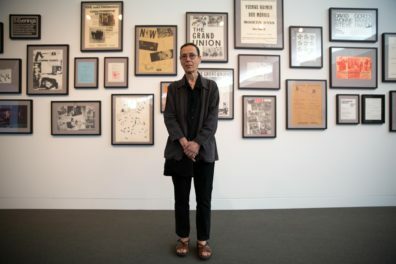 Here’s what they shared about plants found both in the Getty’s manuscripts collection and sometimes in the gardens of the Getty Center and Getty Villa. Roses in the Getty’s garden. Many individual saints also had an association with roses in Renaissance Europe. For example, St. Elizabeth of Hungary secretly took baskets of bread to feed the poor against the will of her husband. Once he caught her participating in this act of charity, the bread miraculously turned into roses. Roses served practical purposes, too. Oils and jelly made from hips (fruits) of this plant had medical applications for skincare, and were incorporated into foods. Dianthus flowers, commonly referred to as “pinks” for their typical color, stand out because of their clovelike smell and distinct five-petal formation. Pinks hold a deep Christian significance. They were associated with the nails used in the Crucifixion and coronations, while the name dianthus translates to “flower of God” (from the original Greek Dios for Zeus), and can be found represented in numerous illuminated manuscripts. In the wild pinks often thrive in gravely and rocky conditions, making them occasionally hard to maintain in a home garden. 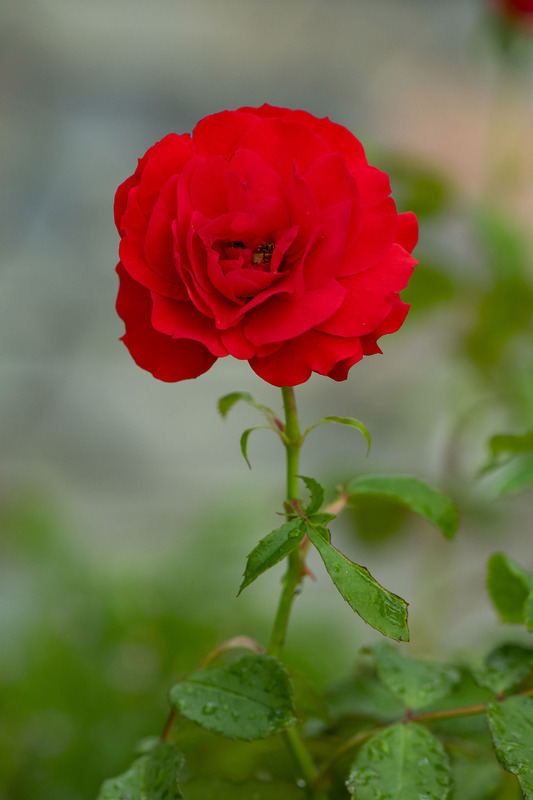 They are the precursor to modern-day carnations. 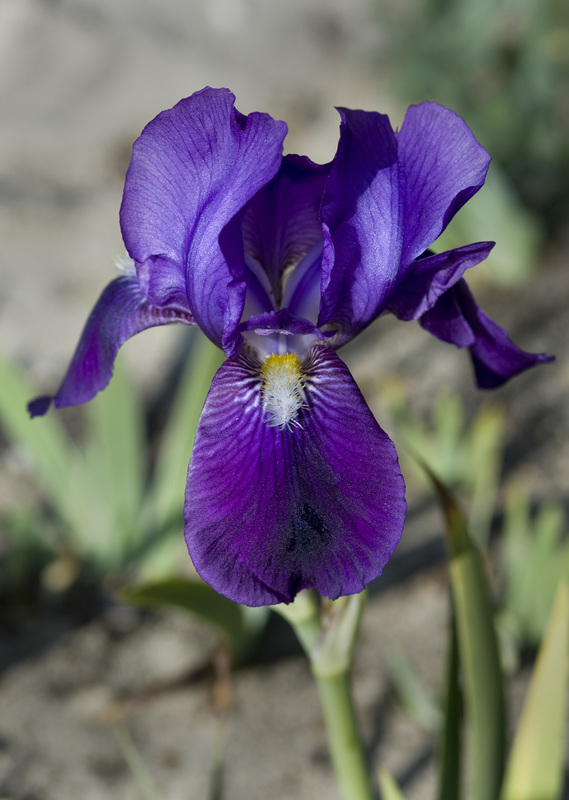 One of the most popular flowers at the Getty—due to Vincent van Gogh’s famous painting—irises also have Christian symbolism. They are associated with the Passion of Christ and the Resurrection, probably because the flower blooms in spring around Easter. These tall, white, statuesque and aromatic plants were similar to the white rose in their relation to the Virgin Mary. 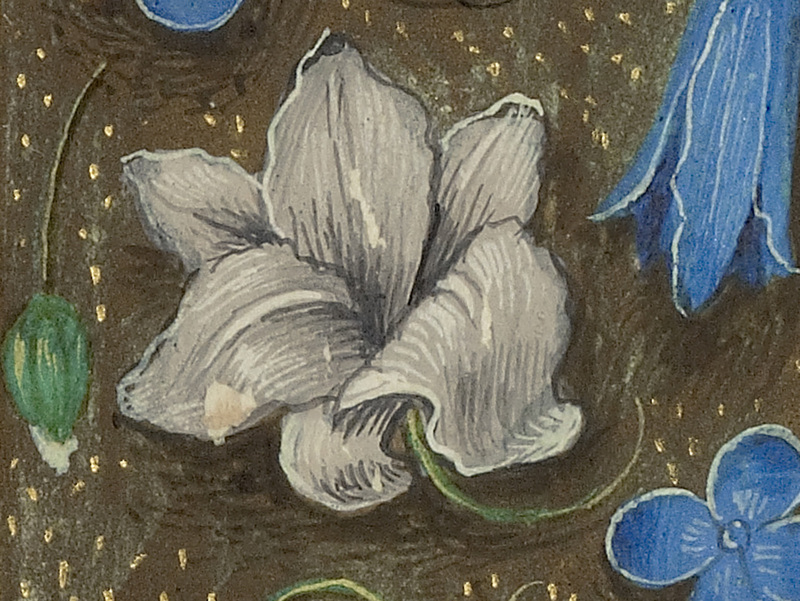 In Renaissance Europe, the white lily was symbolic of purity and chastity. Heastsease found in the Getty’s gardens. 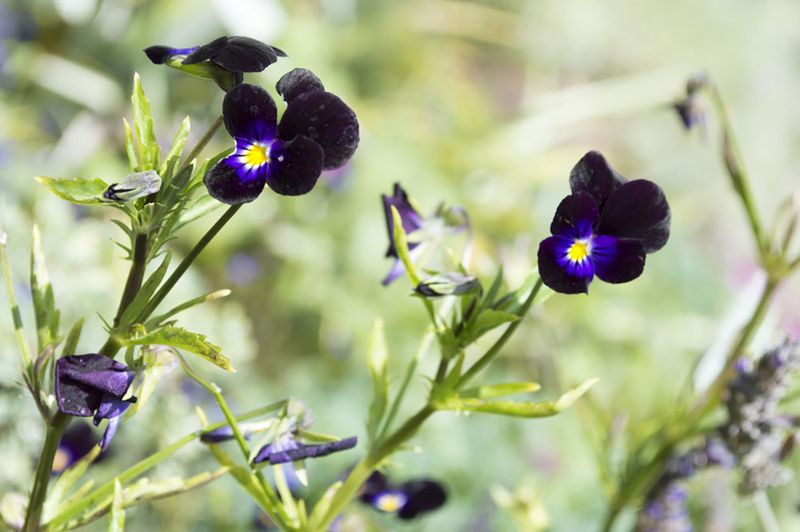 The Heartsease flower is also be referred to as a “pansy” or “viola tricolor” because of its delicate structure and luminous three-colored petals. It was also linked to the Holy Trinity (father, son, and holy spirit) in the Renaissance as remembrance, memory, and spiritualization. These gorgeous and intricately petaled flowers come in many varieties, but each is known for its contrasting colors—often blue or white in manuscripts—and multiple layers of petals. 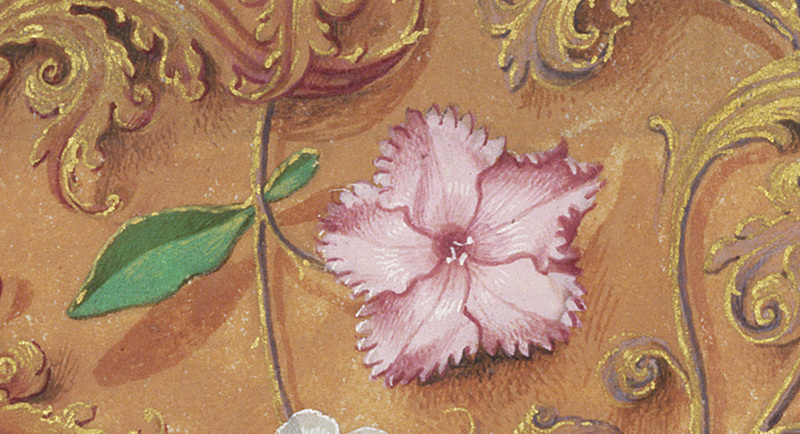 During the Renaissance, this flower was associated with the Holy Spirit and the sorrows of the Virgin Mary. 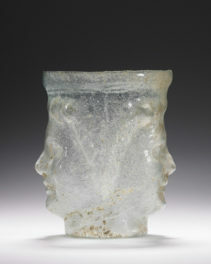 It used medicinally to relieve the pains of childbirth, cure fever, and to aid poor eyesight. 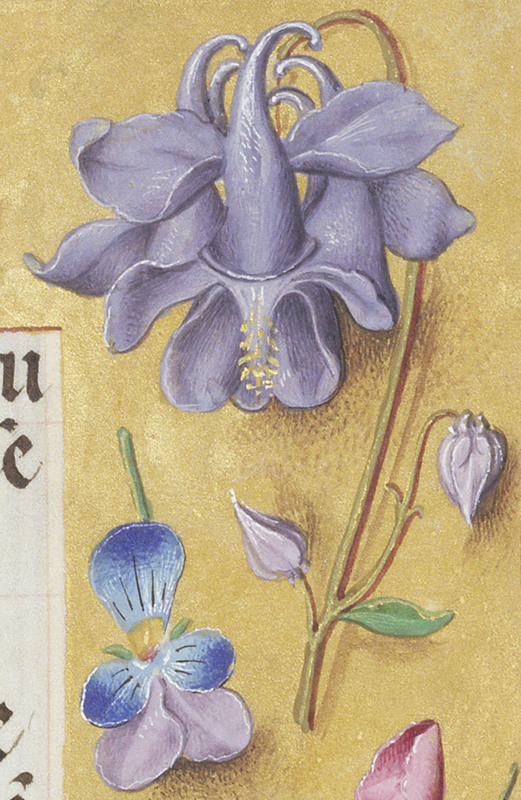 This plant is particularly common within Renaissance manuscripts—though it’s not found in the Getty gardens. Strawberries stand apart from other “berry” varieties because of their three-leaved (trilobed) structure that was associated with the Holy Trinity. 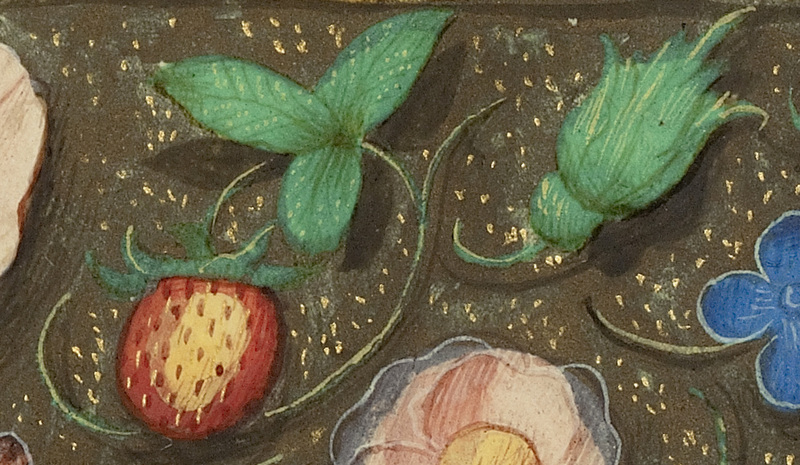 In the Renaissance, the strawberry fruit itself likely signified either the “kind deeds” of the Virgin or martyrdom, while the white flowers symbolize purity. Medicinally, the strawberry was believed to fight inflammation: the fruit helped with skin, while the leaves and roots cured ailments of the liver and kidneys. 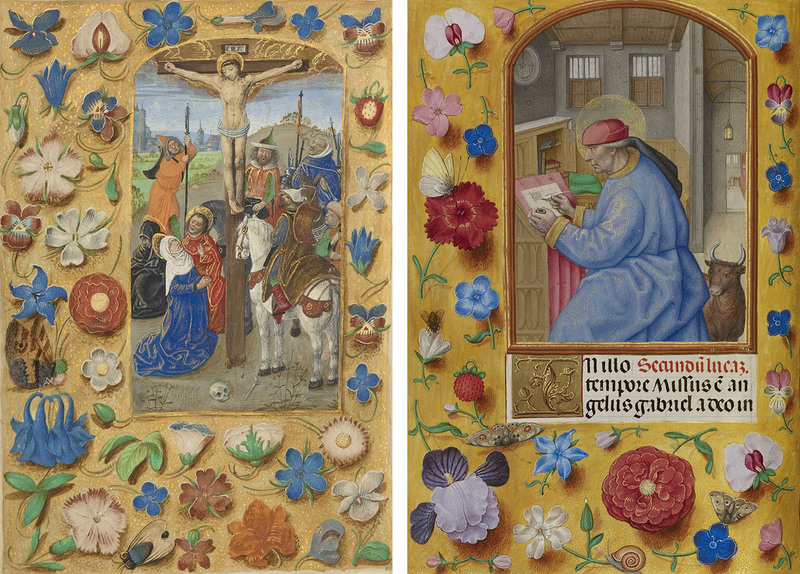 Sacred Landscapes: Nature in Renaissance Manuscripts is on view at the Getty Center through January 7. The Getty Center Garden is always on view, and always changing with the seasons.